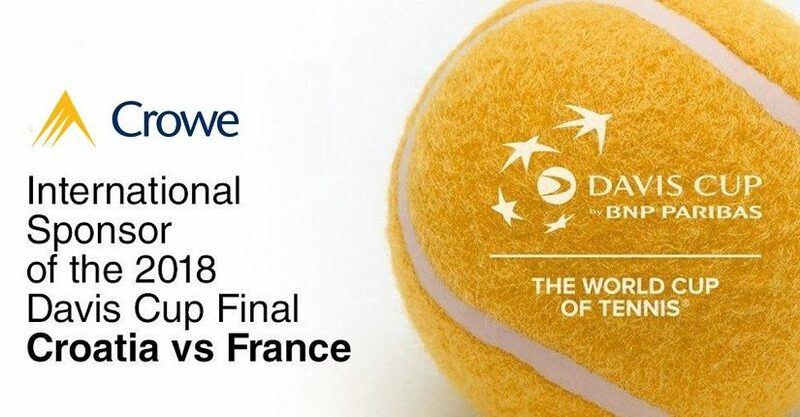 Crowe is delighted to announce that it is sponsoring the Davis Cup final tennis match being held in Lille, France from 23-25 November, 2018. This exciting opportunity is a joint sponsorship between our colleagues in Crowe France, Crowe Croatia and Crowe Global with the countries of France and Croatia represented in the final. Davis Cup by BNP Paribas is the World Cup of Tennis. It is the largest annual international team competition in sport, with 127 nations taking part in 2018. The competition is 118 years old, having been founded in 1900. The title sponsor is BNP Paribas (Official Bank of Davis Cup). International sponsors are Rolex (Official Timekeeper) and Adecco (Official HR Sponsor), while Head (Official Ball) is an international partner. beIN SPORTS is the Official Global Media Rights Partner.